THE choir of Cavehill Primary School will perform at this year’s Christmas lights switch-on event in Belfast city centre. The event takes place on Saturday, November 18 at 6.30pm with the help of Cool FM presenter Pete Snodden and Cavehill Primary School who were personally selected by the Lord Mayor to perform at the event. 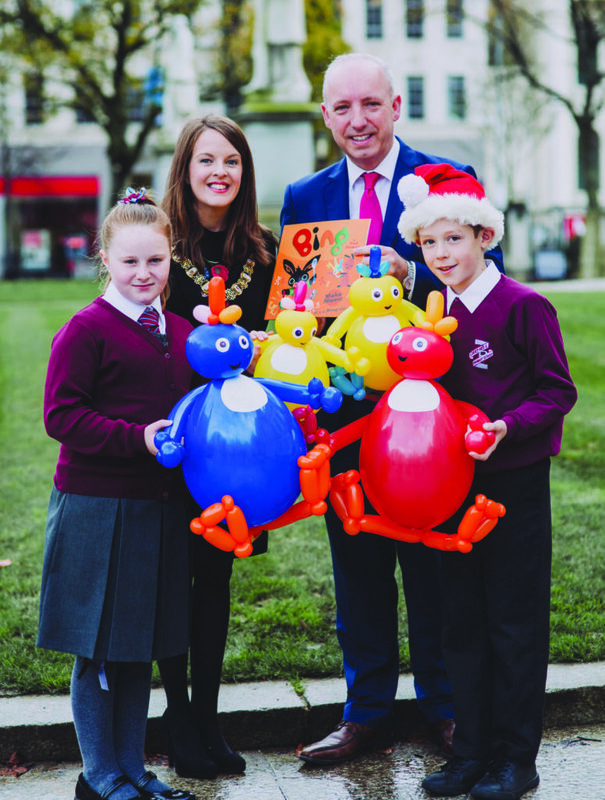 Speaking about this year’s entertainment programme, the Lord Mayor, Councillor Nuala McAllister, said: “I’m looking forward to being joined by children’s television favourites Bing And Flop and The Twirlywoos, as well as Pete Snodden and the Cool FM team, Derek and Jen from Milkshake Live, the choir of Cavehill Primary School – and, of course, Santa Claus himself! Tickets, limited to four per booking can be sourced online at www.visitbelfast.com or in person at Visit Belfast Welcome Centre in Donegall Square North. Meanwhile, the annual Belfast Christmas Market will also open in the City Hall grounds on November 18, starting at 12 noon. The Market will continue to trade until Saturday, December 23 at 6pm. Santa’s post box will once again be at his grotto within the Market, until December 19, for children to post letters to the North Pole with a reply for those who add a return address.